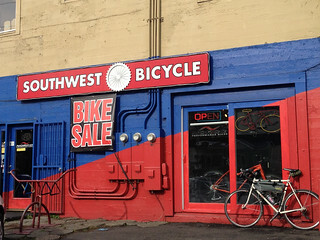 Front of Southwest Bicycle on Multnomah Blvd. Another day, another story to share about bike theft. This time it happened in southwest Portland, far away from our usual reports of the daily thievery that plagues the central city. And it happened at a bike shop. Nate Gibson, an employee of Southwest Bicycle on the corner of Multnomah and Capitol Hwy, says someone took two new bikes they had on display in their parking lot right outside their front door. This isn’t Nate’s first brush with bike theft. You might recall his heroic role in wresting back a high-end racing bike from a thief this past summer. Description from Nate: EVO classic City, mens 18″ Black valued at $379 serial # HWL15030026. You’d think such a high-profile location like the parking lot in front of a bike shop might deter a thief. Not to mention that these bikes aren’t exactly flashy or high-end. But it doesn’t matter. Every bike is a target these days. “Thieves take whatever they can get,” says Nate. Truer words have never been spoken. 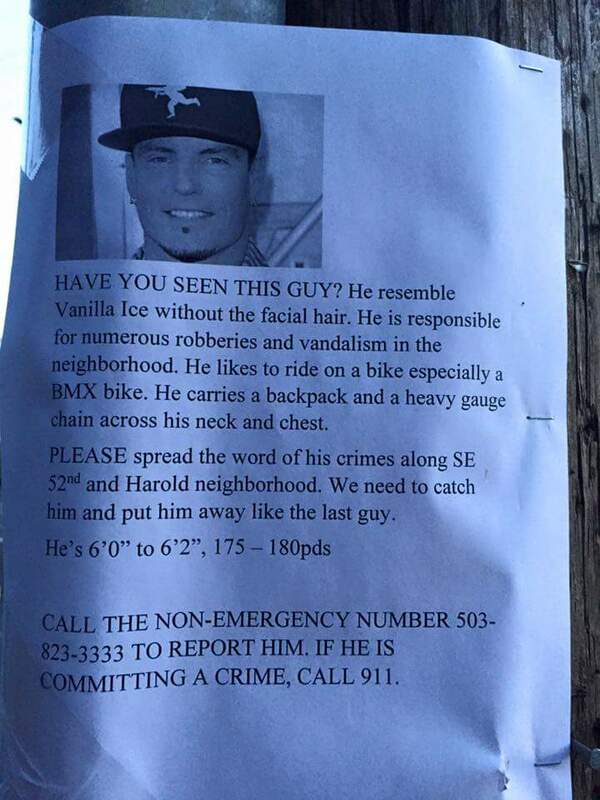 Put out an APB for Vanilla Ice. Another cut cable story. And at a bike shop no less! U-Locking multitudes of bikes twice a day everyday would be a tedious experience for anybody. There is a balance between efficiency and security. Having been in that shop a few times, it’s difficult to see through the front window (merch displayed there) from where the mechanic haunts the back. A camera system pointed at the front with a large, conspicuous monitor inside might be a good compromise. Tedious nope. Kryptonite U lock with combination is programmable. My u lock takes 3 seconds w a key. That is pretty ballsy. There is just no fear amongst thieves these days. 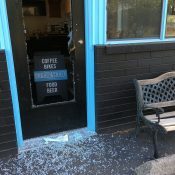 The other day at Velo Cult I was commenting on how we need more cowboys in town to keep thieves like this in check. The witch hunts are my favorite Bike Portland feature! We do love to pawn off a victimless crime as a tax on the rich or the needs of the down trodden to do what they need to do to survive. It’s a nonviolent crime, and is therefore not a priority for Portland law enforcement. Remember that someone who steals a hundred bicycles a year is a “nonviolent offender” and should not be jailed, according to stated Multnomah County policy. You really didn’t answer the question – how is that victimless? There was clearly a victim here. Multnomah County isn’t deemphasizing enforcement of “victimless” crimes – it’s deemphasizing enforcement of all “nonviolent” crimes, whether there is a victim or not. I don’t think jailing someone – at enormous cost to taxpayers – is gonna help matters. Give em huge amounts of community service or reparation fees or something, but throwing em into the for profit privatized prison complex is just silly. And if they don’t show up for community service, or pay the fines? Those are nonviolent offenses, too. Professional thieves flourish in Portland, because they know there are little or no consequences to doing so. BTW, Multnomah County specifically identifies traffic offenses as nonviolent offenses not deserving of jail – so someone with convictions for reckless driving, and multiple convictions for driving without a license doesn’t deserve jail either. This is why you can take a stroll along Waterfront Park or the Eastside Esplanade and see multiple stolen bike chop shops, and their denizens operating right out in the open….they know the most severe consequence is their stolen goods will be confiscated. City Hall won’t do a thing because Charlie Hales is choosing to pander toward the social justice warriors instead of people who have the temerity of choosing to buy nice bikes. We don’t even need to jail them to get them to stop running chop shops in *our* parks. Enforce a policy of confiscating their drugs and enforce the camping ban in parks and the chop shops will go away. Wow – this comment shows a complete lack of understanding for what is going on right now in Portland. The stereotyping of the homeless as bike thieves and drug addicts- yeah. That horse has been beat – and it’s ridiculous. Just stop. 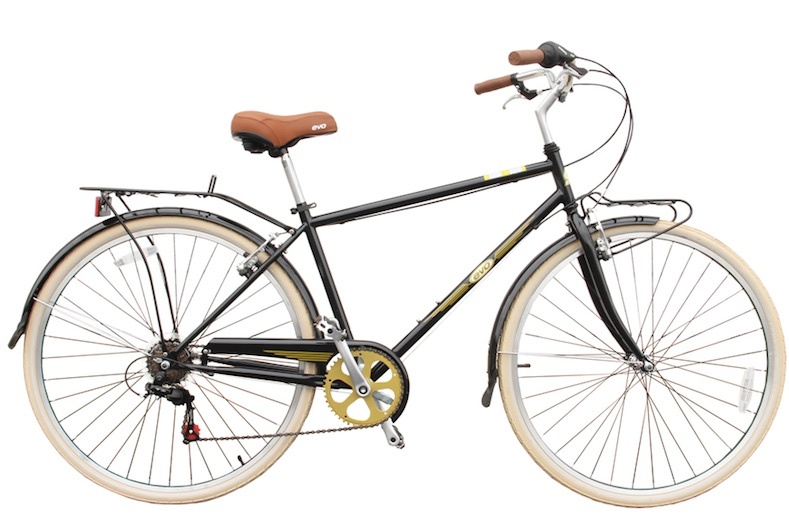 Second – “Charlie Hales pandering to the social justice warrirors” – while people choose to buy nice bikes. This entire statement reeks of privilege and have nothing to do with each other. Please take the time to research this situation – Hales did not pander to the “social justice warriors” at all. The only reason why he has chosen to take a stance on the entire “housing crisis” is not because of the homeless or the evictions, but rather because of the business relationships – when you have the Portland Business Assoc. members, Walmart, Fred Meyer, and others, all the big-box stores coming up and telling Hales that their foundation workers, their cashiers and baggers are living in their cars because they’re being evicted – then Hales got involved. He doesn’t care about the homeless. Those 60 million handouts every once in a while are gone in a couple months. He cares about business first and foremost – and when the businesses started complaining that they couldn’t staff due to the evictions – that’s when he made a move. Not social justice. All developers and business. As usual. 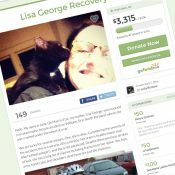 Drug rehab and monitoring, along the lines of Multnomah County’s enhanced diversion program. I guarantee that the thefts are used to back up a drug habit. Anything else is just onanism. Yeah, Multnomah County’s response to thefts is working out just great, isn’t it? 30 to 90 days in county jail for a habitual bicycle thief doesn’t seem to be out of line – you know, the way normal jurisdictions deal with professional thieves. And where is Inspector Clanahan (Dirty Harry)when you need him. Throwing them in jail WILL stop them while they are locked up, and it will give them some time to think about whether they want to go back to jail. So sketchy and suspicious that you didn’t feel you could go out and ask ‘Can I help you?’ ? Having done that may have thrown him off any plan he had for stealing. Going inside to wait for him to leave may have been ok to do if the thought had occurred to you that he may have had theft with a weapon in mind, but watching him through a window while waiting, may have been a better course of action. With the phone in hand, either snapping pictures, or prepared to call the police. Sorry if these questions sound critical of what you may have felt you had to do for reasons not able to be fully described here. I’m wondering what are the best things to do in this most recent type of situation you found yourself confronted with. First place I would look is A1A Bechfront Avenue. 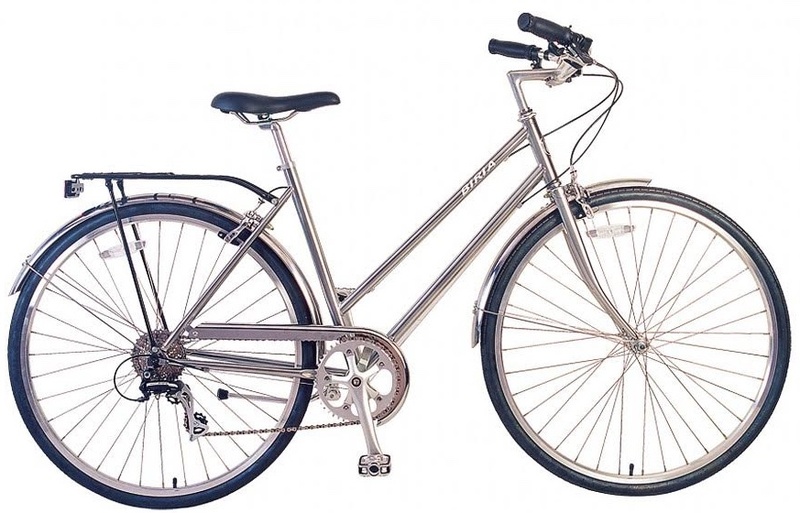 Bike shops must stop selling cables and cable locks to customers unless a u lock is part of the package.. Local shop sold a Trek to a neighbor w cable lock and cable was cut at medical facility next week. Not sure how to say this gently, but I’m not sure that my first reaction to seeing someone “sketchy” would be to leave him alone with a couple of $1k bikes secured with only a cable.